The Infina stands for rest and simplicity. Without the busy knot of ribs and visible frame, the Infina is a real gem of pure aesthetics. 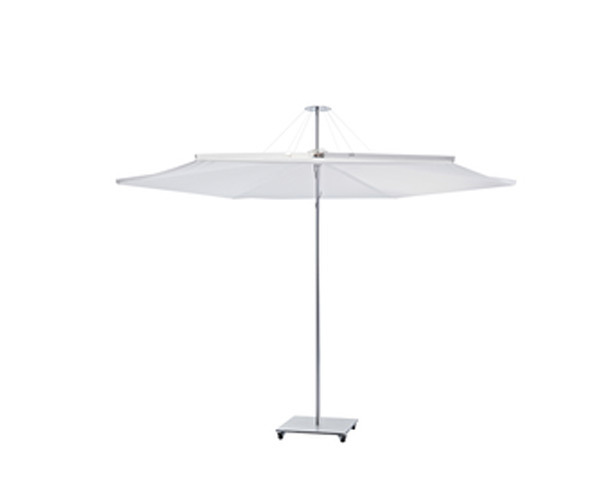 The visually very soothing effect provides a clean design, which throws overboard all ballast of the classic center-pole umbrella. The Infina combines a minimalistic design with maximum performance in terms of wind-resistance.